USACE Duluth Area Office & Maritime Museum - ERICKSON BUILDERS & CO. INC.
Duluth HVAC Replacement, USACE Duluth Area Office & Maritime Museum, Duluth, MN. 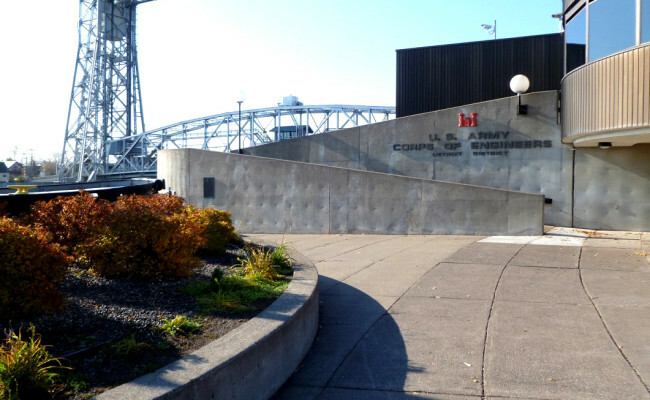 Erickson Builders performed the following work for the USACE: Lead paint and Asbestos abatement to incorporate the replacement of a HVAC boiler system at the USACE Duluth Area Office (DAO) and Lake Superior Maritime Visitors Center (LSMVC) with a HVAC system. 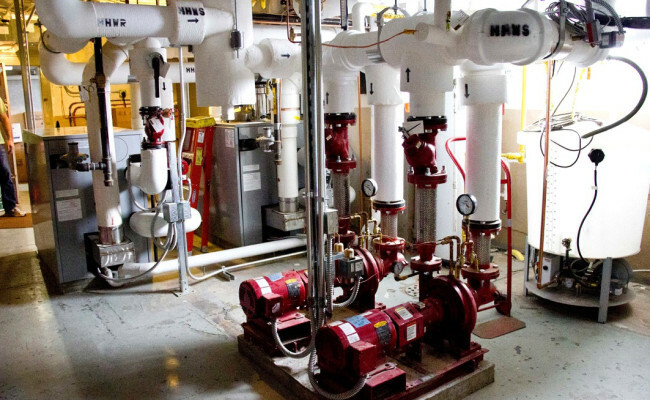 This process included: the installation of a new chiller and controls infrastructure and controls final terminations; the removal of steam radiators and all associated piping (to include lead paint and abatement of asbestos); the installation of a new energy recovery ventilation system, soffits and grilles, fan coils and piping to fan coils, and wall repairs; the replacement of the air handling unit; the removal of the heat exchanger, condenser, two abandoned boilers and piping; and the installation of new piping, and revisions to ductwork and diffusers. 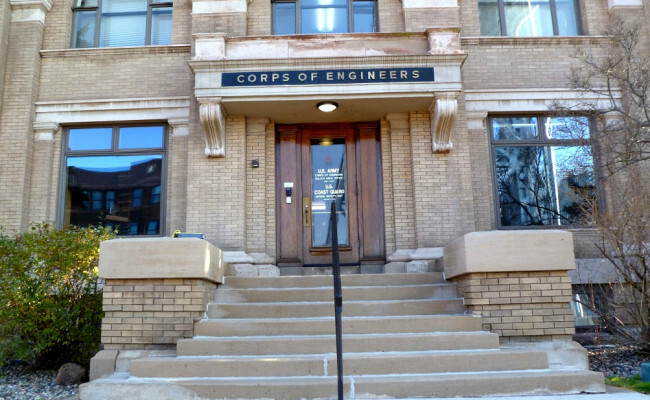 The Administration Building is part of the Duluth Ship Canal Historic District, which is listed on the National Register of Historic Places therefore all work was performed in accordance with the Minnesota State Historic Preservation Office.